Nvidia Max-Q limits fan noise to 40 dBA when gaming - so why are we recording louder results? Not all Max-Q laptops are created equal. We've all been in this situation. The manufacturer promises a 15-hour battery life on a new laptop and yet owners would be lucky to get half or three-quarters of the advertised claim. The large discrepancies can be boiled down to two causes: differences in testing conditions and usage scenarios between the manufacturer and end-user. Companies like Lenovo and HP often rely on MobileMark standards when testing battery life that may underestimate what most users will actually be doing on their notebooks. This same concept has seemingly carried over to Nvidia's new Max-Q series. The chipmaker explicitly states that its Max-Q laptops target "40 dBA or better" when running "typical gaming loads" but has otherwise failed to make public the exact testing conditions for such a claim. Even Tom's Hardware is unable to disclose the processing load or game title Nvidia is using to simulate "typical gaming" conditions. What little has been publicly communicated include Nvidia's vague 25 cm measurement from some distance "above the laptop" in a hemi-anechoic environment in accordance to the ISO 7779 standard. 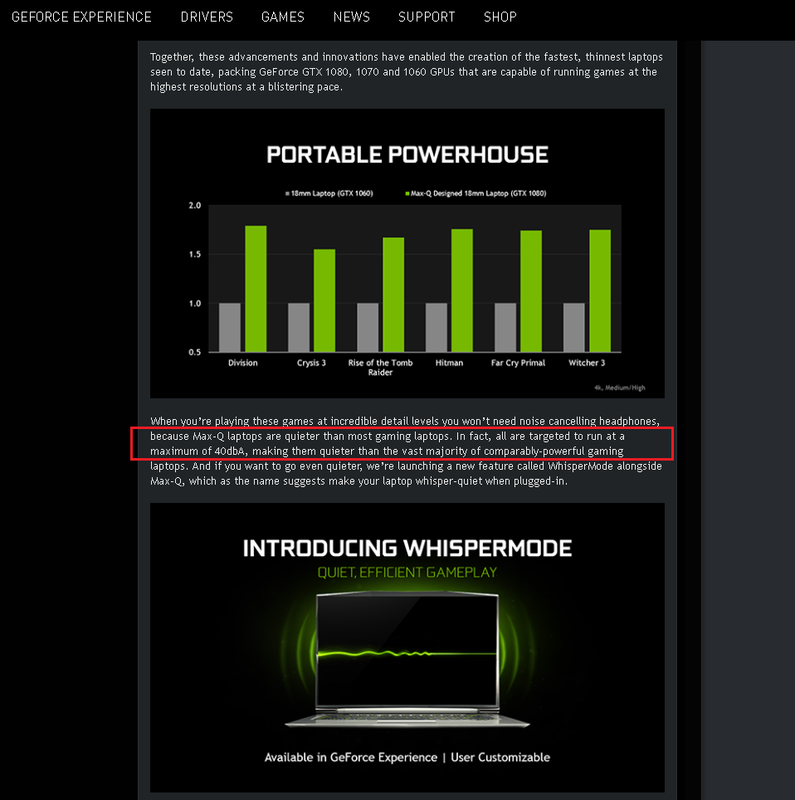 Since the setup and loads are not public information, we cannot reproduce or verify the "40 dBA or better" statement and are expected to simply trust Nvidia's advertisement the same way we are expected to trust advertised battery life results. Nvidia does not detail the setup, the notebook power settings, the game, the testing length, or anything else other than the vague "25 cm distance" and "typical gaming load"
The secrecy of Nvidia's testing methodologies to meet the 40 dBA criteria only exacerbates the discrepancies between manufacturer and end-user conditions. Companies cannot account for every permutation of the end-user experience and thus must approximate it similar to how Nvidia cannot possibly account for every type of game and their varying demands on the CPU and GPU. As a result, there is no guarantee that a Max-Q notebook will be 40 dBA or quieter depending on how far the end-user is sitting from the notebook, the type of game running, how long the game will be running for, the ambient temperature, the paired CPU, FPS limiters, and other potential variables not detailed by the GeForce maker. While we can't discredit Nvidia's 40 dBA claim, we can measure fan noise with our own tools and have been doing so on a handful of Max-Q notebooks. It's true that our in-house measurements are not directly comparable to Nvidia, but we've discovered that all our tested Max-Q notebooks can run indubitably louder than 40 dBA with surprisingly wide RPM ranges when subjected to extreme 100 percent utilization loads (Prime95 + FurMark). Some notebooks top out at 50+ dBA to be exceptionally louder than 40 dBA considering that the decibel scale is logarithmic. 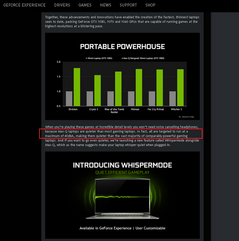 The results make sense when reading a bit deeper into Nvidia's 40 dBA advertisement. The 40 dBA limit applies only to "typical gaming loads" and so any processing loads more demanding than gaming would be fair game for higher fan speeds. If a specific game happens to be more demanding than Nvidia's mysterious "typical gaming load" scenario, then there is potential for louder fan noise. Our own Notebookcheck test criteria utilize Witcher 3 to represent "real world" gaming loads with fan noise results provided in the table above. A good handful of these Max-Q notebooks are quite close to the 40 dBA mark while a select few are clearly not. The questionable models include the Gigabyte Aero 15X, Dell Alienware 15, and MSI GS73VR 7RG at 44 dBA, 48.0 dBA, and 45.8 dBA, respectively, when running Witcher 3 to be over twice or even thrice as loud as 40 dBA each. We consider systems in the 40 to 44 dBA range to be reasonable since our microphone is always placed 15 cm in front of the notebook whereas the Max-Q standard places the microphone further away at 25 cm elevated to eye level. The cut off point, of course, is shaky ground nonetheless. We can only assume that Nvidia's testing procedures have been designed to simulate real-world gaming conditions as closely as possible to produce more relevant data for the end user. Yet, when compared to our own Witcher 3 load measurements, the notable differences between 40 dBA and 45+ dBA in some Max-Q notebooks are hard to ignore. Are our Witcher 3 testing conditions more demanding than Nvidia's masked testing conditions? Is Nvidia utilizing a less demanding title for "typical gaming loads"? While it's important to note that we do not test in a hemi-anechoic chamber, it is nonetheless difficult to pinpoint what other variables may be responsible for the very dissimilar results and what we can say specifically about Nvidia's procedures. Our takeaway message is that users shouldn't read the 40 dBA advertisement as a common ceiling across all Max-Q notebooks. Instead, it should be taken as a median approximation that's highly dependent on various factors including the games themselves. 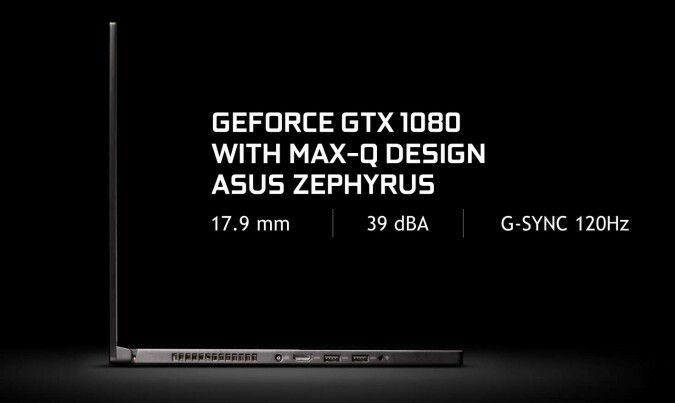 Max-Q fan noise can and will vary between manufacturers in response to onscreen loads - just like any standard non-Max-Q gaming notebook would. > Notebook / Laptop Reviews and News > News > News Archive > Newsarchive 2017 10 > Nvidia Max-Q limits fan noise to 40 dBA when gaming - so why are we recording louder results?